With a handful of other people, Tom and I are putting together the largest event we’ve ever planned for tomorrow – the Just Food – Celebrating Locally Grown event. We will be featuring a panel of speakers and then showing the movie FRESH. The speakers include Lucy Thairu, assistant professor at Touro University who will be speaking about food access and the obesity epidemic; Rita LeRoy, Farm Manager at Loma Vista Farm here in Vallejo, who will be speaking about sustainable farming; and Esperanza Pallana, urban farmer and Coordinator for the Oakland Food Policy Council, who will be speaking about the OFPC, food justice and urban agriculture. The Dalt Williams Trio will be providing us with live jazz during the intermission. Light “farm-to-table” fare will be offered by the Cal Maritime Academy’s Cafe (produce provided by Shooting Star CSA), local wine and beer tasting, and homemade, local, fresh pressed mulled cider will also be available (Tom will be pressing it that morning). A fun event for the entire family! Proceeds from the event will benefit Friends of Loma Vista Farm and Food Rescue.Advance tickets are $10 through Brown Paper Tickets: http://justfood.brownpapertickets.com/. 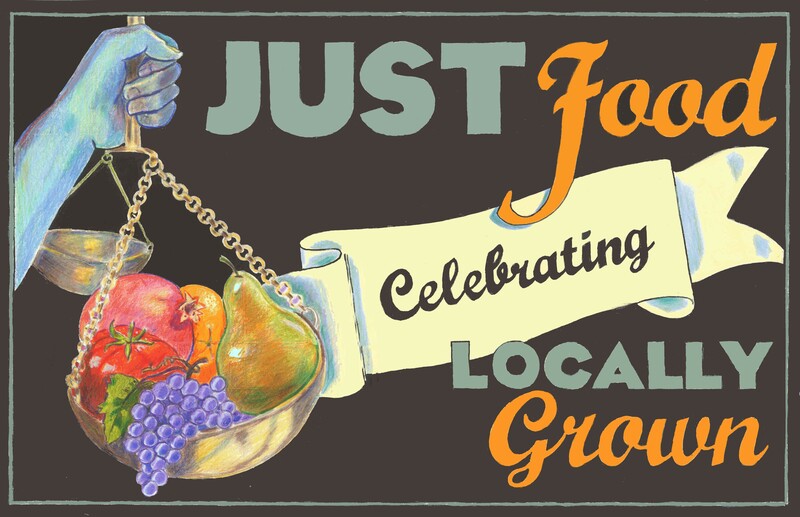 This event is sponsored by the Just Food – Celebrating Locally Grown Steering Committee – A group of Vallejoans, including myself, who care about celebrating and supporting local food systems. Fiscal Sponsorship by Sutter Solano Medical Center and Kaiser Permanente of Vallejo. We hope you can come out and have a great time with us! Welcome Becky! Sounds like you’ve got a great setup! The event was lovely – interesting and educational! Thanks so much to you and everyone else who put it together.